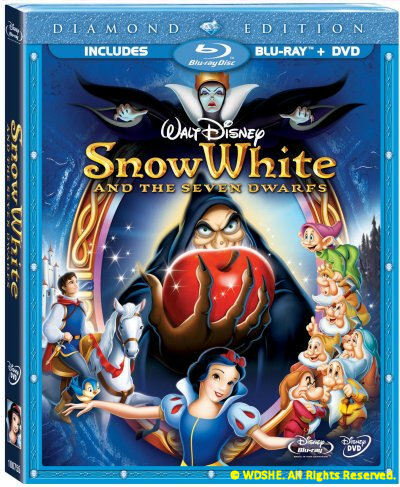 Disney News and Interviews From The Mouse Castle: Disney to Package Blu-ray/DVD Combos Through 2010, But Will it Matter? 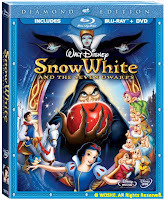 Disney to Package Blu-ray/DVD Combos Through 2010, But Will it Matter? 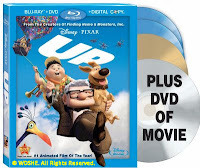 Walt Disney Studios Home Entertainment (WDSHE) announced this week they will continue combining Blu-ray and DVD versions of their premium titles in the same boxes for home video release through the end of 2010. Citing popular demand by consumers, Bob Chapek, President of WDSHE, said, "The Disney Blu-ray Combo Pack is the perfect marriage of value, quality and versatility all wrapped-up in a single package." That may be true Bob, but you failed to mention that Blu-ray hasn't exactly taken off in the hearts and minds of the public. A year and a half has passed since Blu-ray won the format war against HD DVD, and standard DVD is still the leader in sales and rentals. You can blame the higher cost of Blu-ray, especially in a sour economy, but I think it has more to do with Blu-ray simply not being the game changer DVD was over VHS. There are plenty of people who are perfectly content with their existing DVD collection and see no reason to upgrade to Blu-ray (I count myself among them). There are some positive signs, however, as Toshiba, the last HD DVD holdout, recently announced they will release a line of Blu-ray players later this year. There's also a rumor (albeit a shaky one) that Apple will offer Blu-ray support on the next major release of iTunes. Still, I think Blu-ray is destined to become a niche format for videophiles only, because the real future of home video is not in shrink wrapped Blu-rays or DVD's, but in on-demand content from the cloud. Read between the lines of Disney's announcement and it's really not about consumer value. It's about Blu-ray not selling as a stand-alone format.